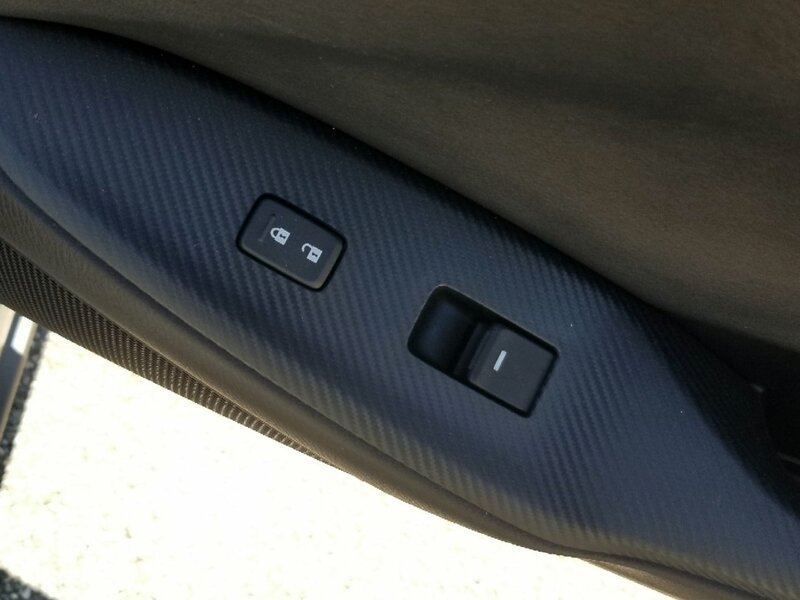 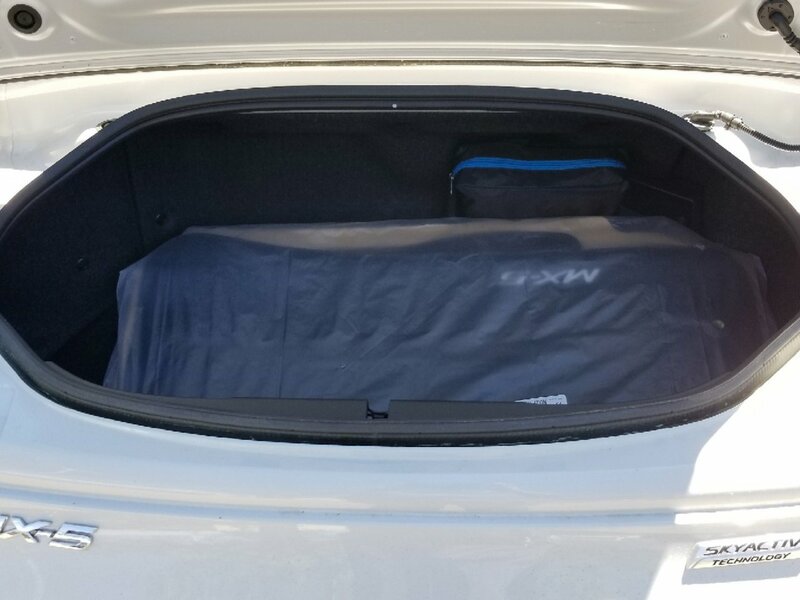 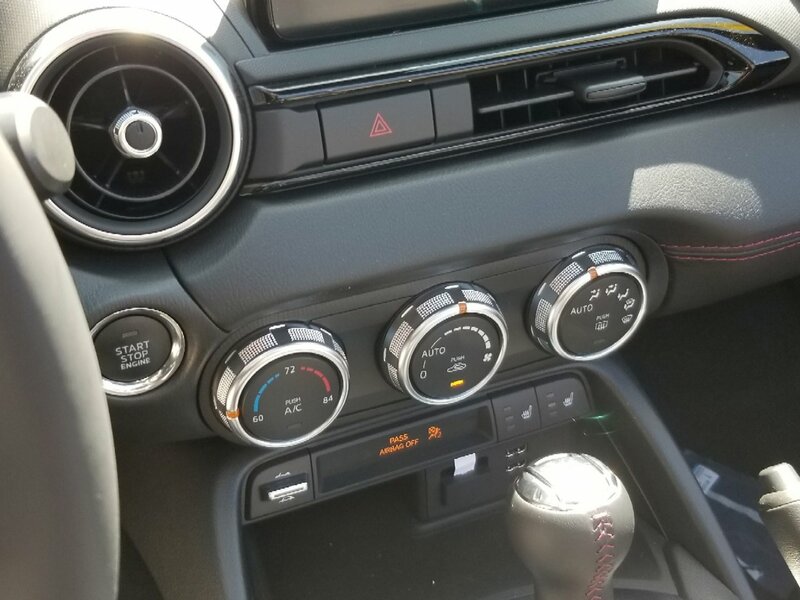 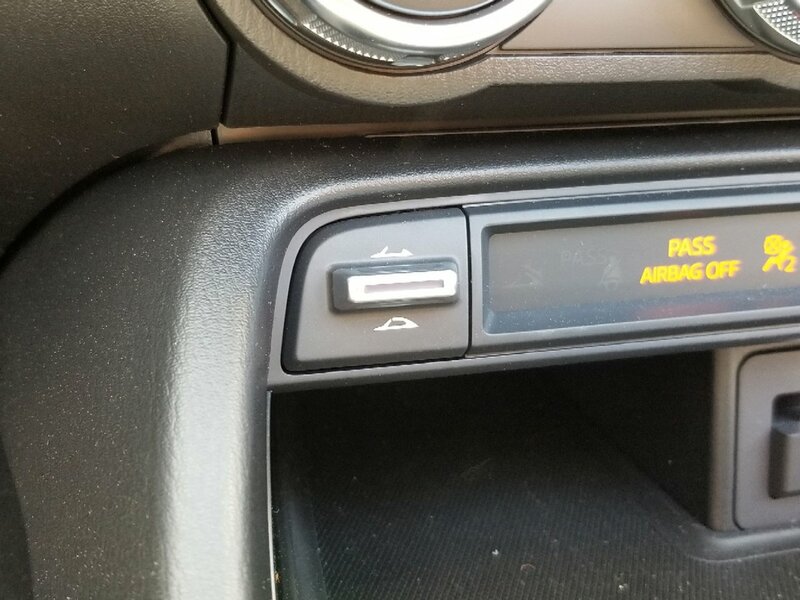 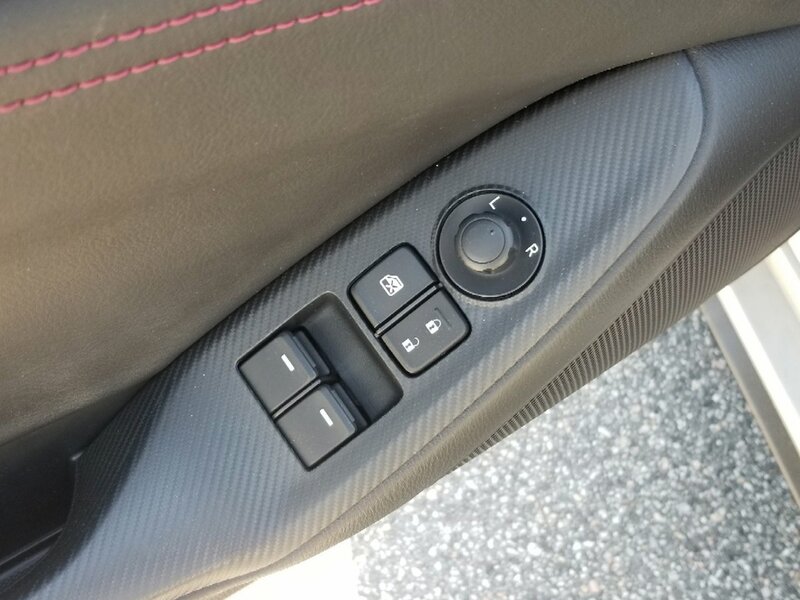 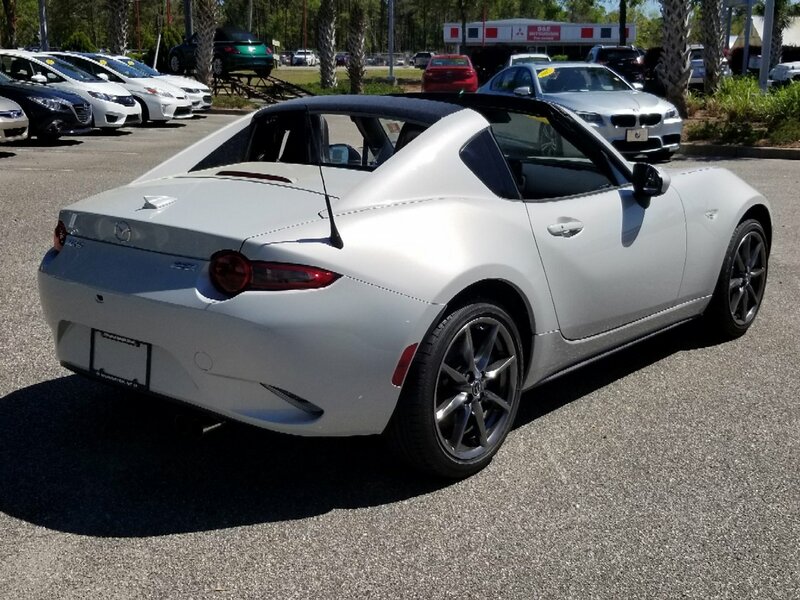 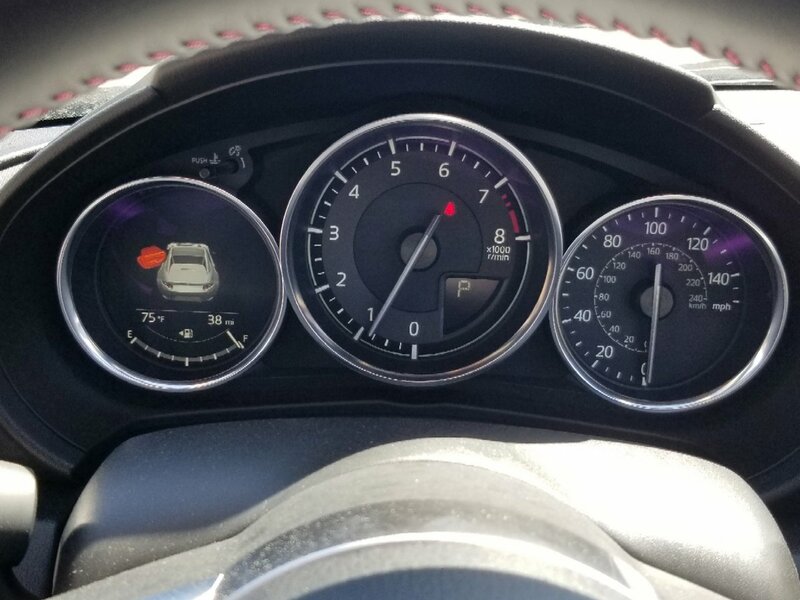 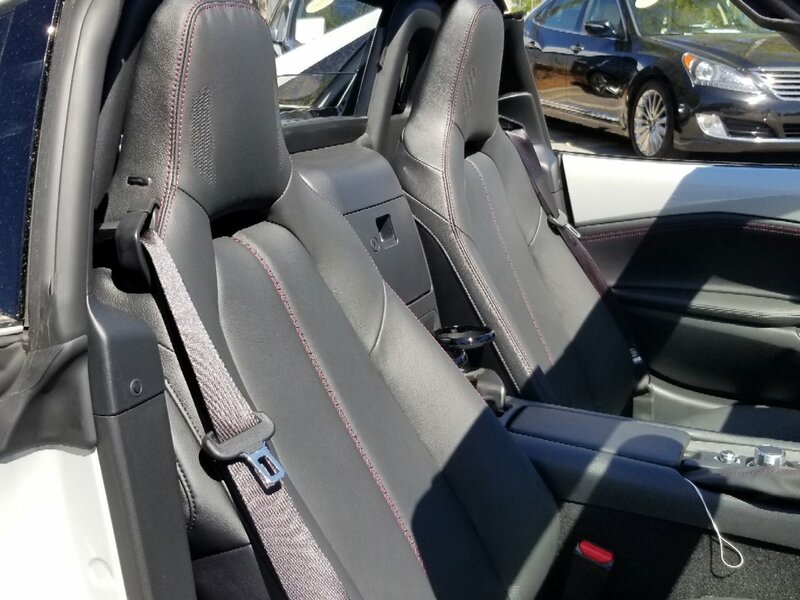 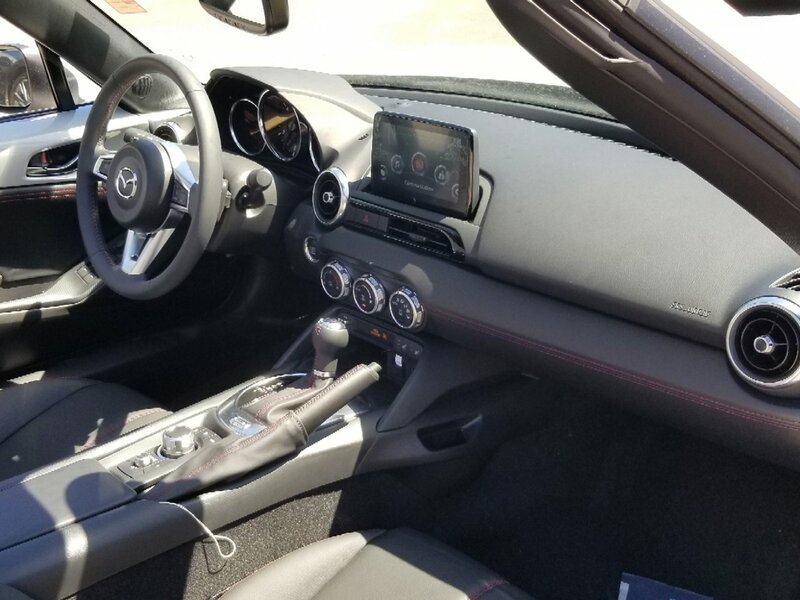 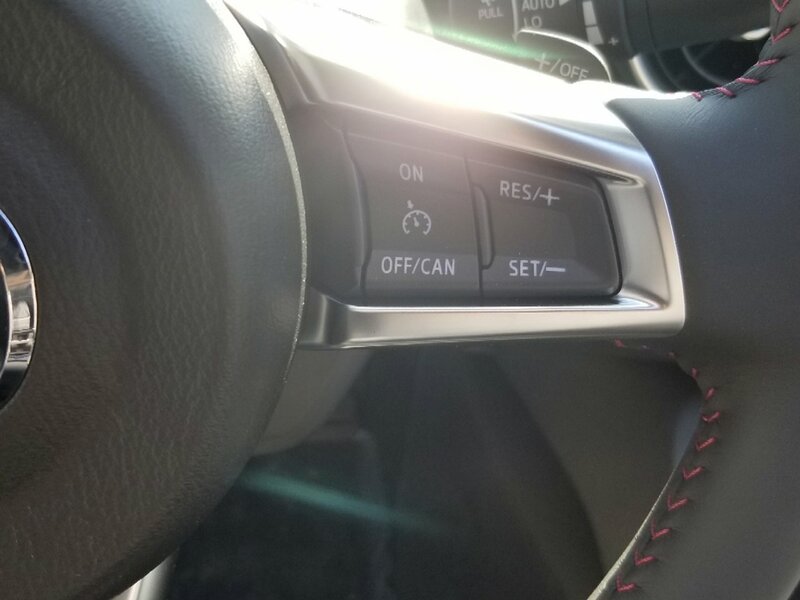 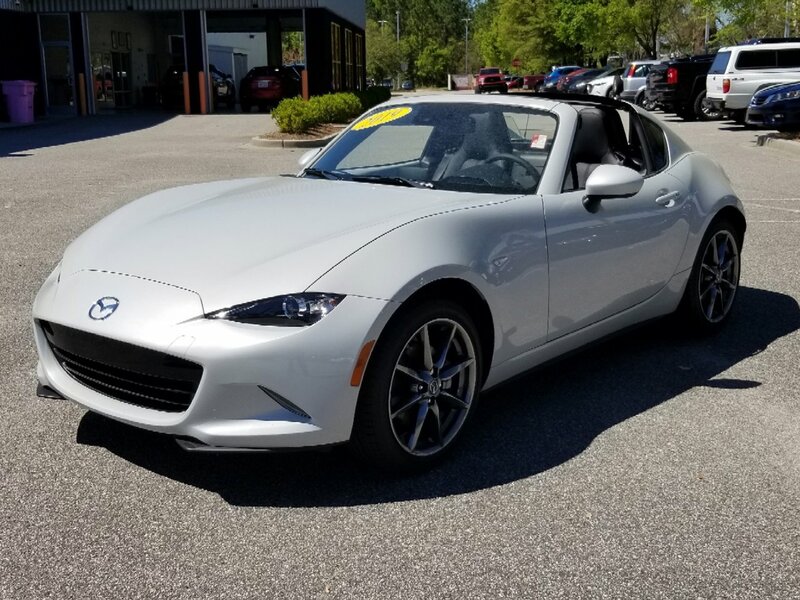 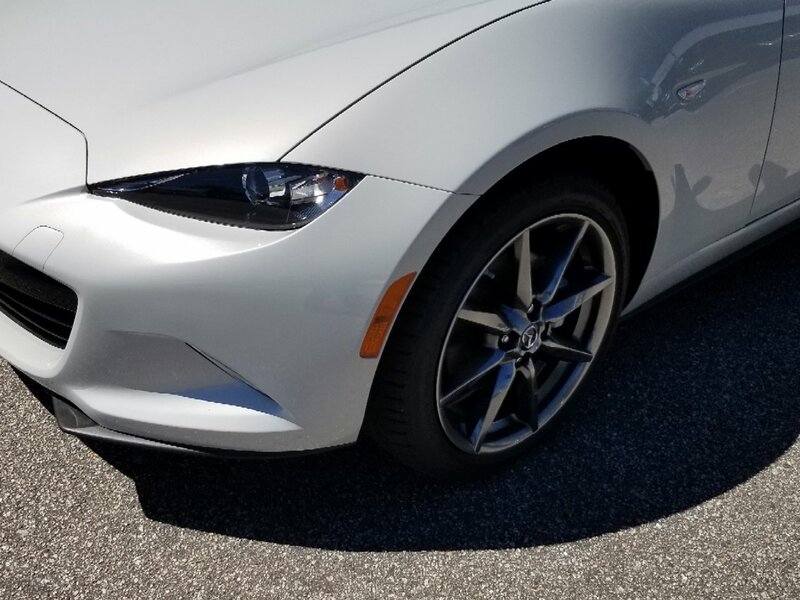 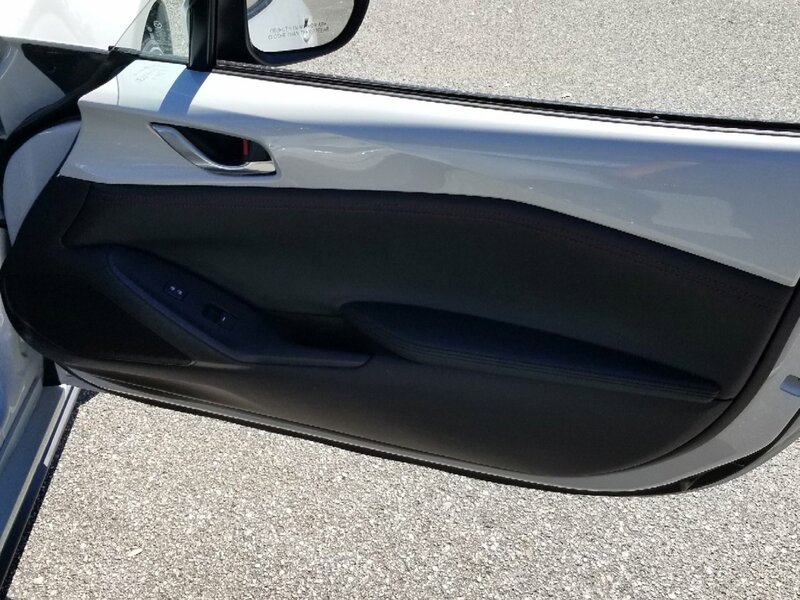 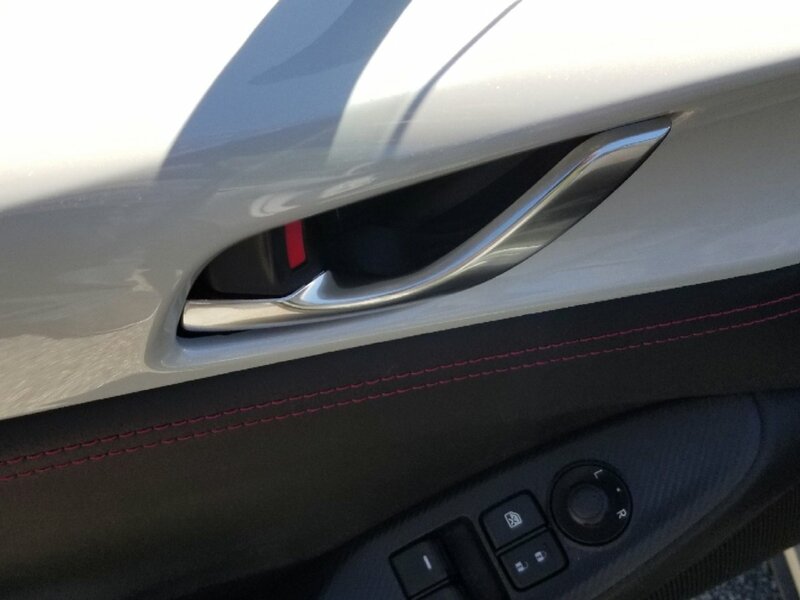 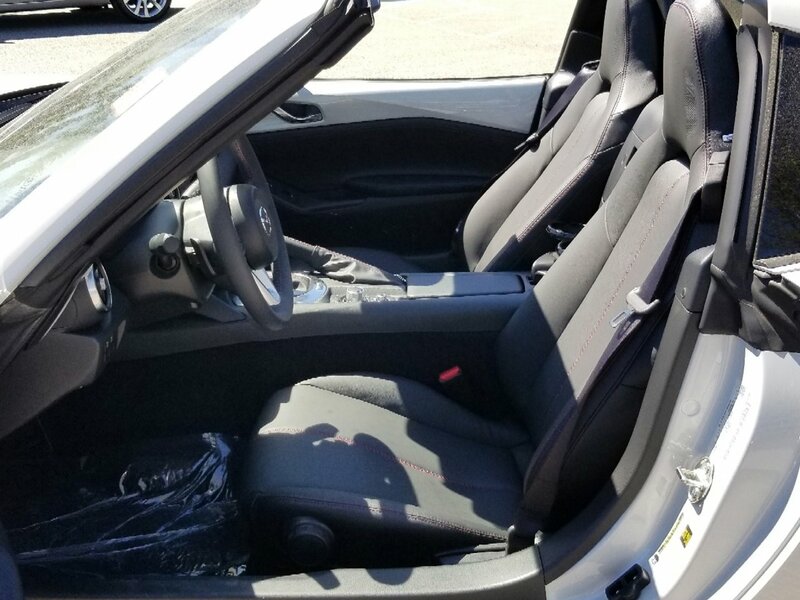 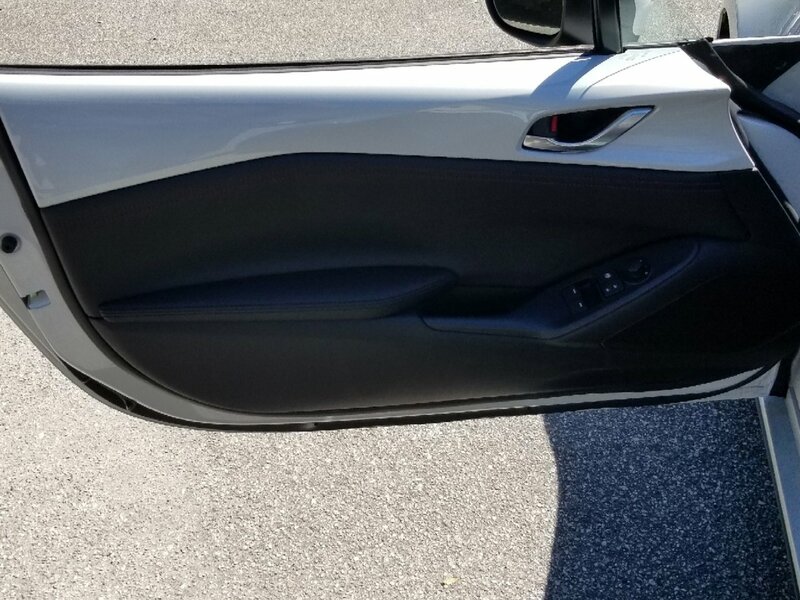 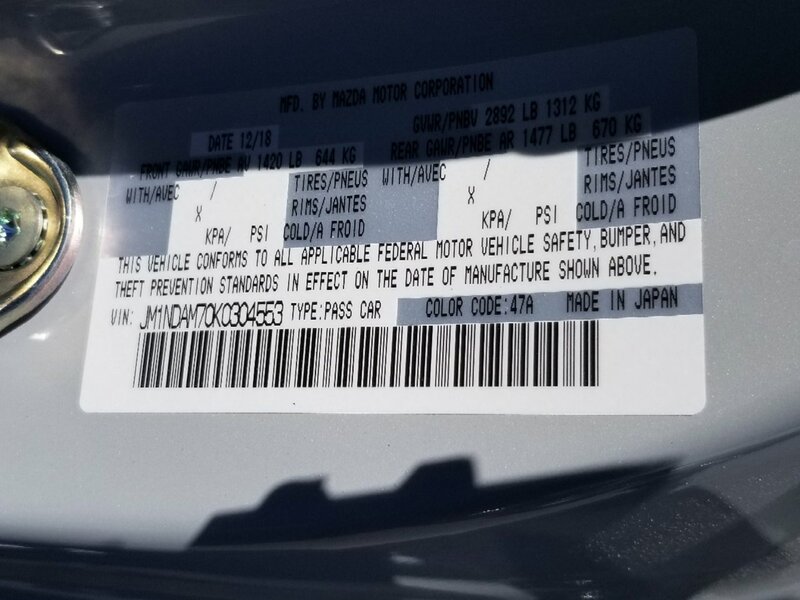 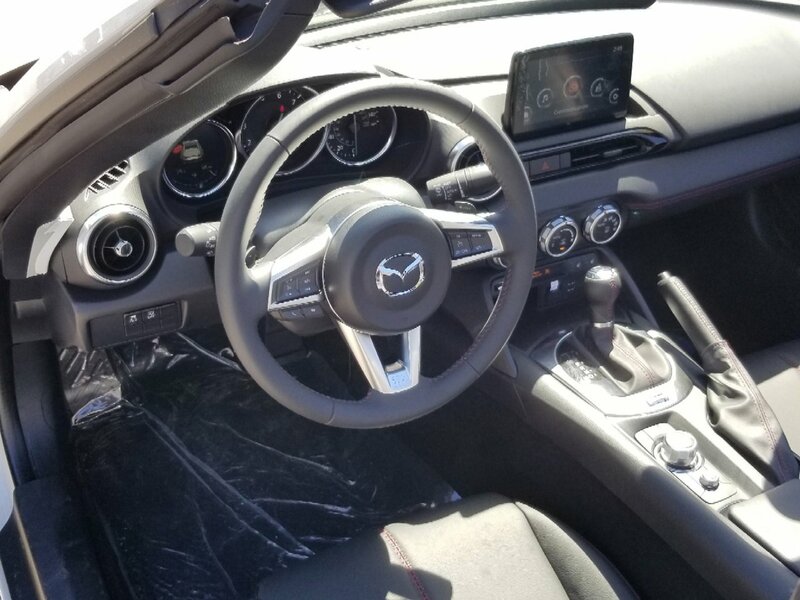 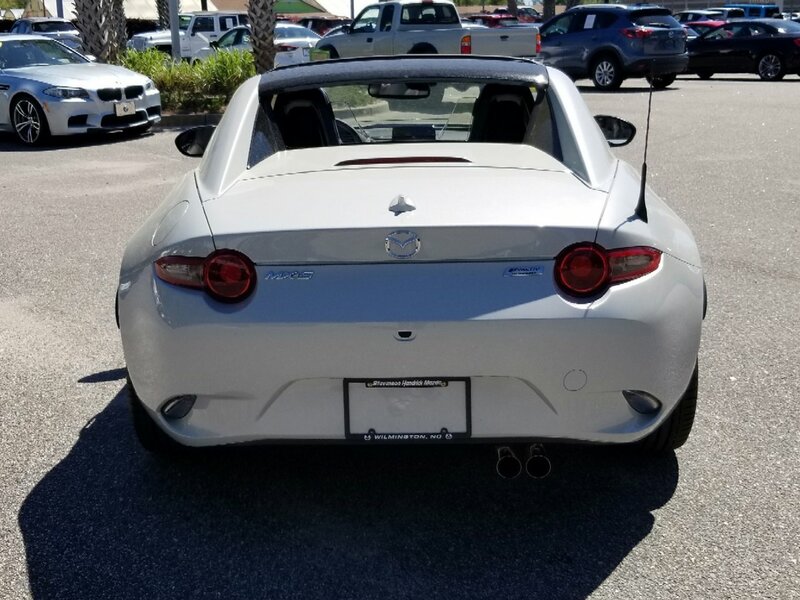 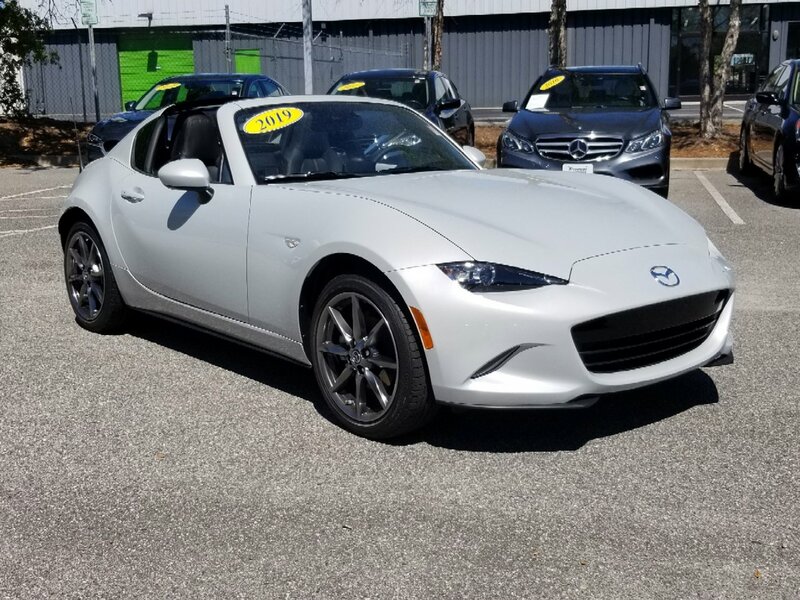 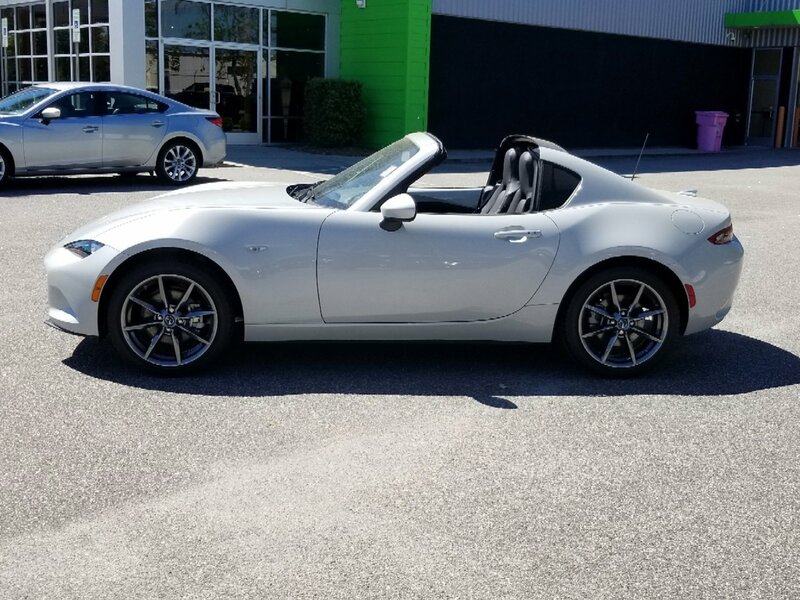 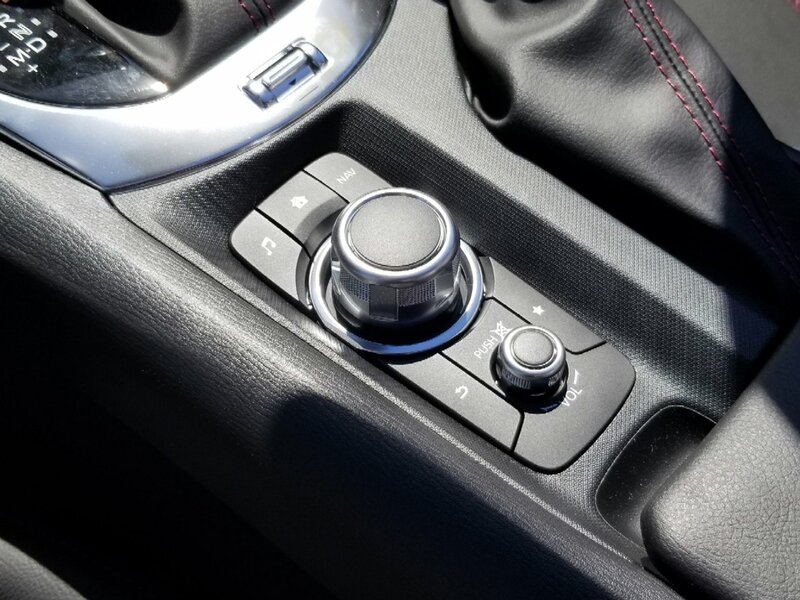 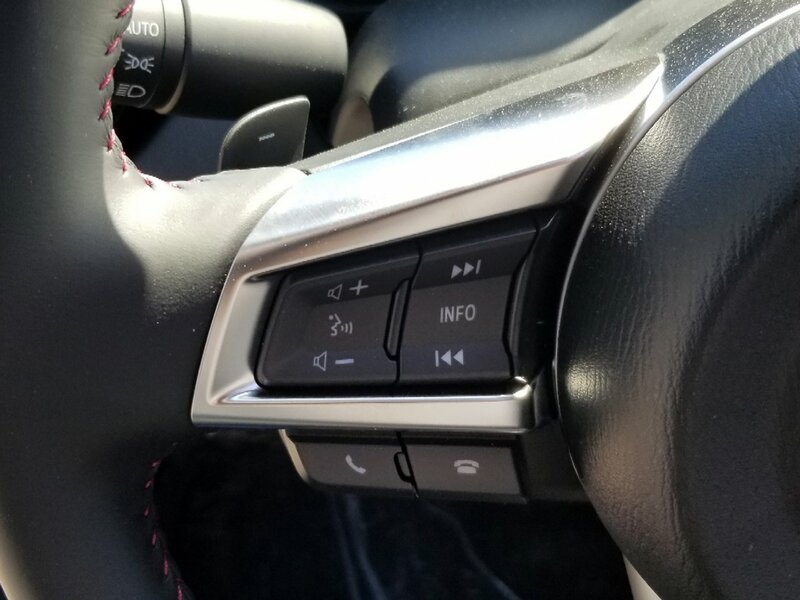 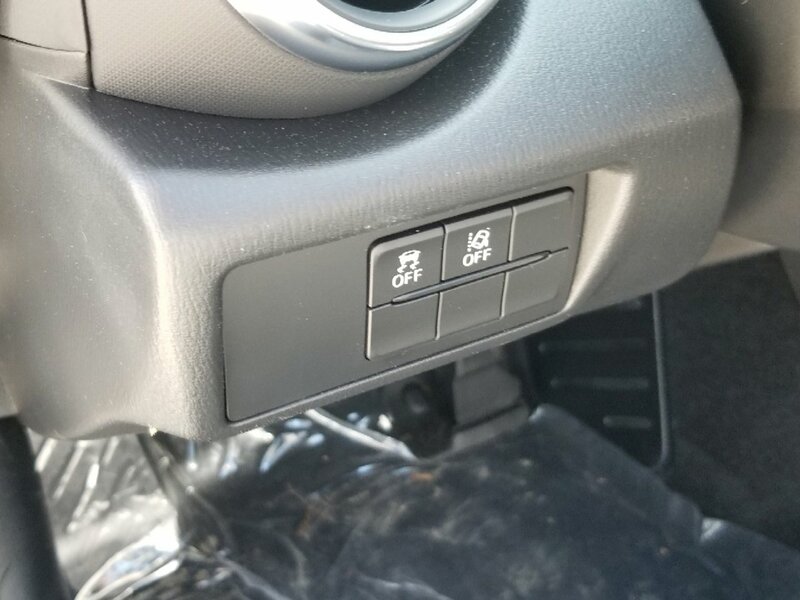 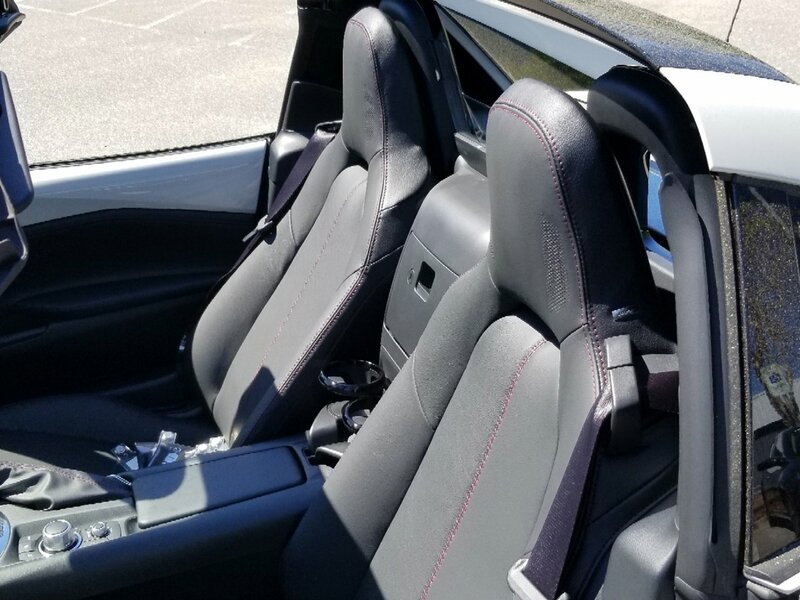 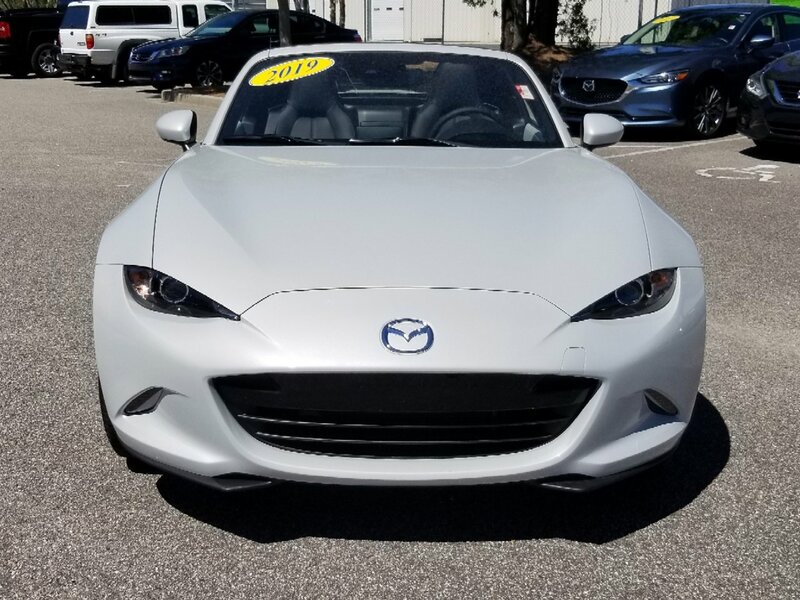 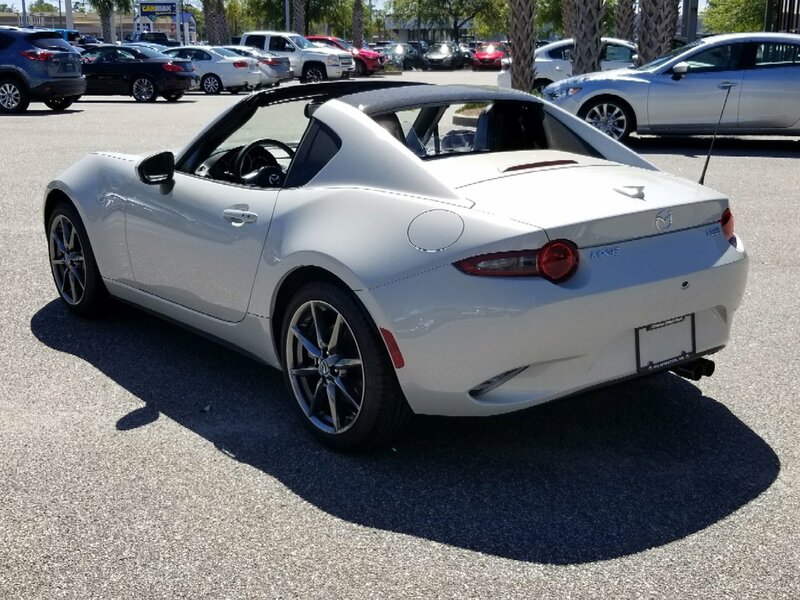 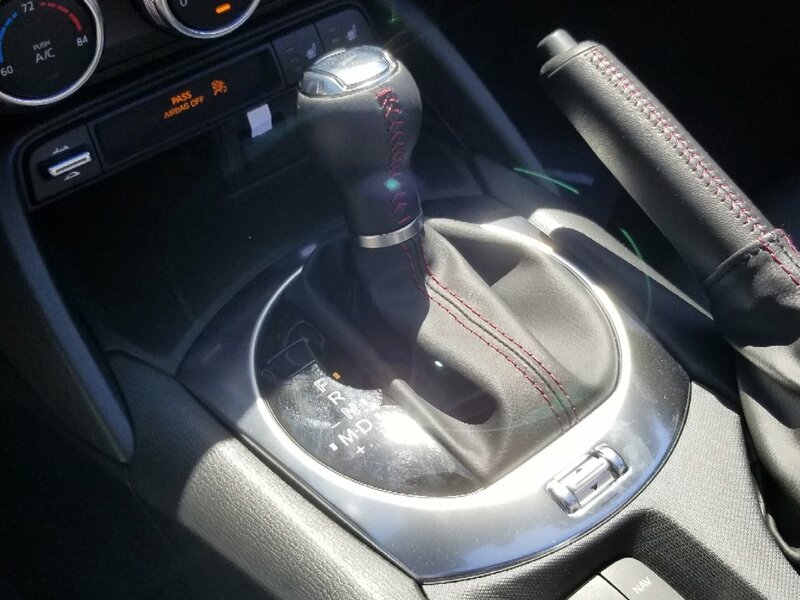 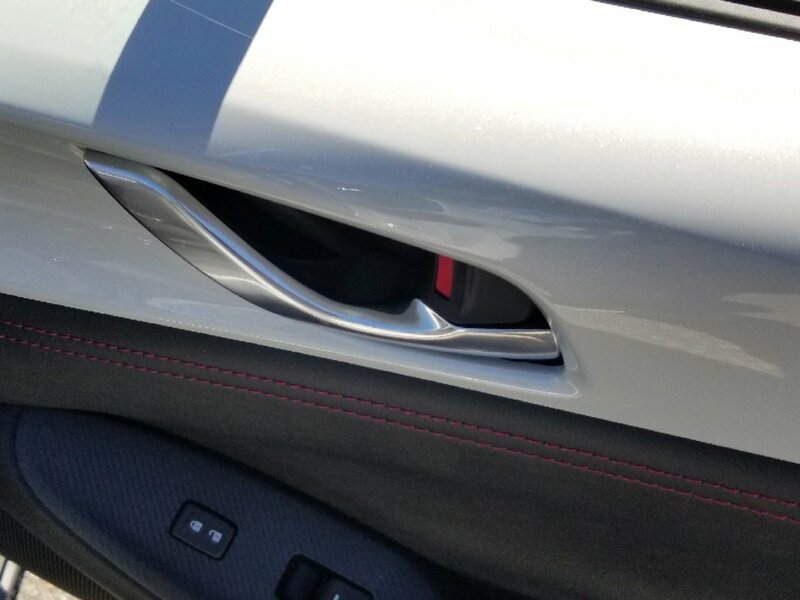 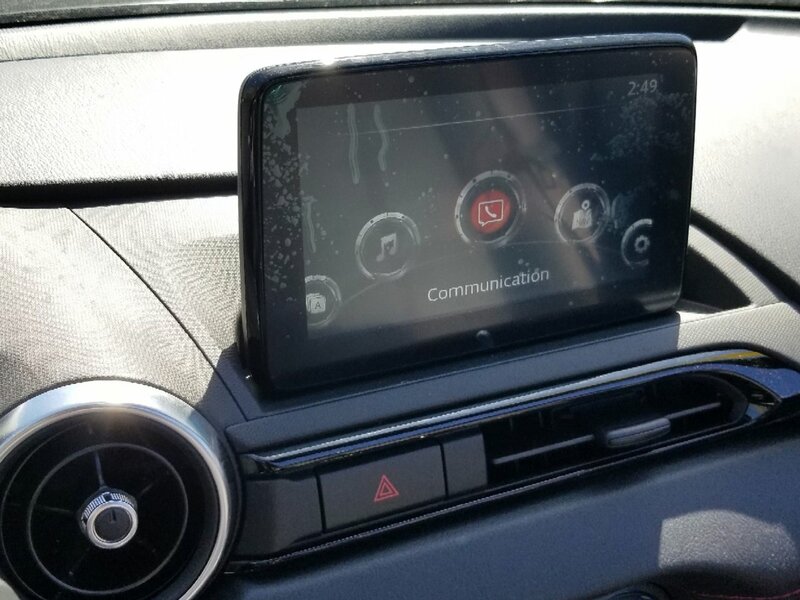 Find out why everyone is talking about this top rated 2019 Mazda MX-5 Miata RF Grand Touring. 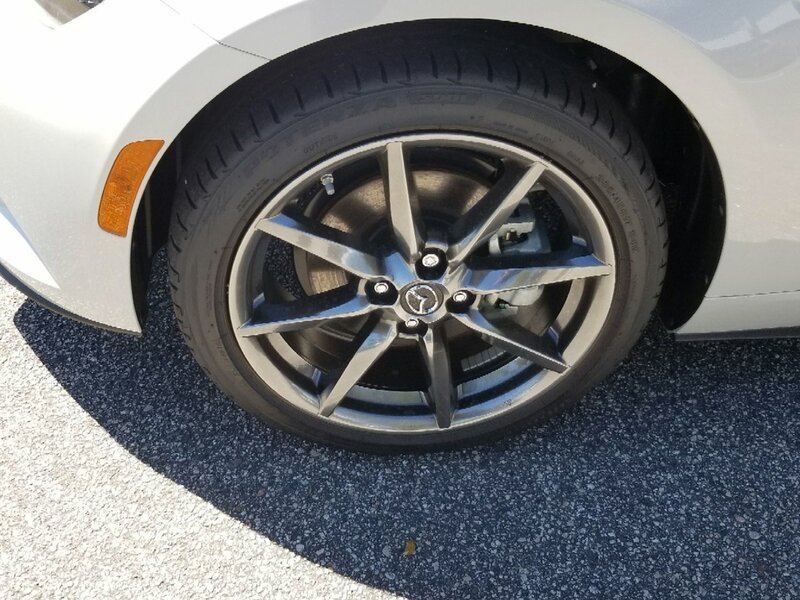 CERAMIC METALLIC, BLACK, LEATHER UPHOLSTERY, Wheels: 17" x 7" Dark Silver Aluminum Alloy, Trunk Rear Cargo Access, Trip computer, Tires: P205/45R17 High-Performance Summer, Systems Monitor, Sport Leather/Metal-Look Steering Wheel, Spare Tire Mobility Kit, Smart City Brake Support and Rear Cross Traffic Alert. 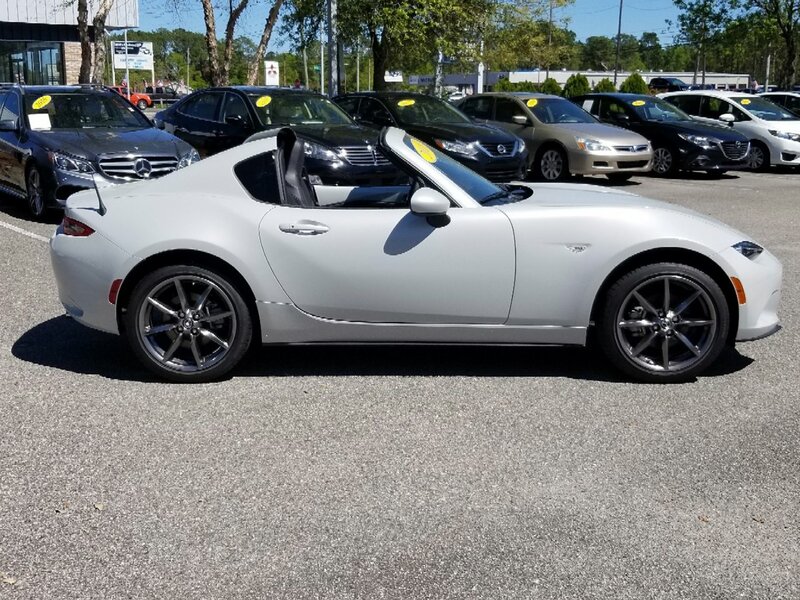 Come in for a quick visit at Stevenson Mazda, 6115 Market St, Wilmington, NC 28405 to claim your Mazda MX-5 Miata RF!